If you have a fur baby at home and are about to welcome a human baby into your pack, you likely have a few concerns about how to introduce to each other the two most precious beings in your life. After all, they need to live side by side in harmony, and ideally, provide companionship, love, and affection to each other. The initial introduction can be extremely important in establishing a positive relationship between Baby and Bingo, and actually begins long before Baby ever graces the threshold of your home. Fortunately, you have nine months to prepare your pet for the new arrival. As you prepare your dog to meet your new baby, having some concerns is natural–and healthy. A baby will likely seem completely foreign to your dog. Your baby won’t smell, sound, look or move like anything familiar to your pet. You may be worried that your needy dog will experience jealousy, as your new baby will inevitably take away much of his attention. 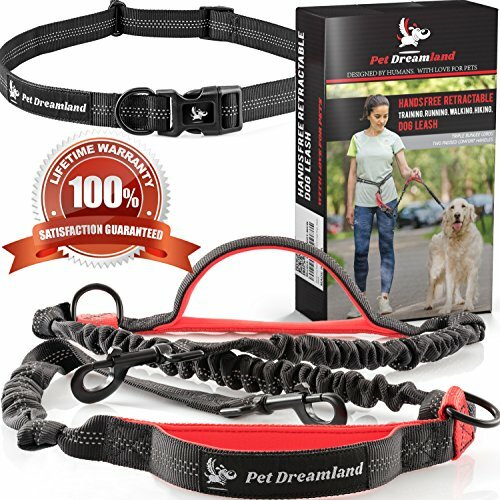 You may worry that as your sleep, meal, and exercise routines change, your anxious dog will have trouble adjusting. You might feel concerned that your playful, high-energy dog will play too roughly with your infant. All of these concerns are valid, and can be hard if the change feels too sudden or if your dog did not grow up around babies or small children. Also, if you experience stress, frustration, or anxiety, your dog will sense the negative emotions you are feeling and could reflect them in his behavior. 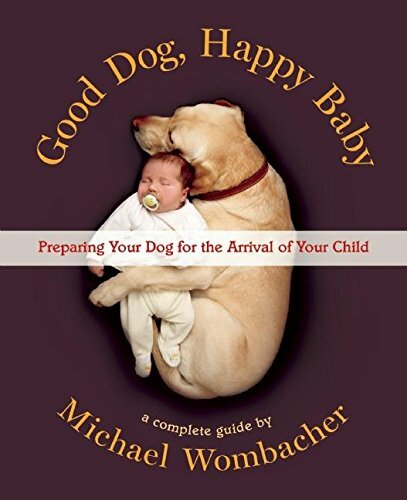 That said, many of the problems dogs and people experience when a new baby enters the mix are brought about by our scolding or ignoring our dog instead of taking time to adequately prepare him for Baby’s arrival. To help decrease chances of aggression–and to foster a healthy, positive relationship between your dog and his new, human sibling– follow these tips. You may also want to read the book suggested below, which provides even more detailed information. Starting the transition gradually helps make sure Fido doesn’t associate the changes with the baby and decreases negative associations he might make. Roughly four months before you bring your baby home, start playing recordings of a baby crying and cooing. Start with small time increments and gradually ramp up to longer durations. This practice will help Bingo get used to the sounds of a baby. Exposing your dog to smells associated with Baby can help him adjust to the impending changes. Dogs are olfactory animals, so preparing your dog’s nose is extremely important. Expose him to smells like baby powder and ointment. by applying them to your own skin on a regular basis so your dog grows used to them. Create positive associations with these scents by coupling them with treats, pets, or positive verbal reinforcements. If you know you will need to change where your dog eats or sleeps, begin making those changes one to two months before your baby arrives home. If you anticipate your dog’s regular mealtime may need to change, or become erratic and irregular, consider purchasing an automatic feeder, which can help keep your dog’s mealtimes planned and regular, as well as take a little responsibility off your shoulders. 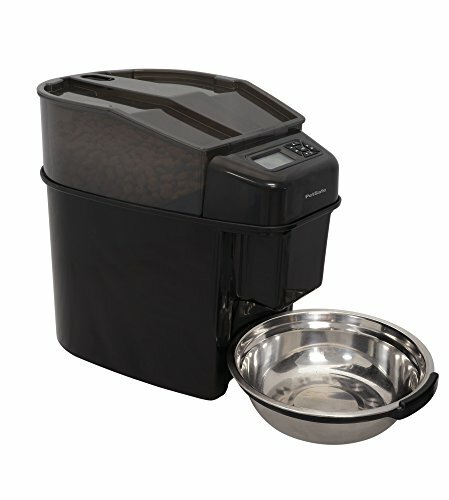 Purchase and begin using the automatic feeder ahead of time to allow Fido to get used to it. Two to three weeks before Baby comes home, gradually show your dog less attention, and spend less time with him. Though this practice may seem cruel, once Baby arrives, you are inevitably going to have less time and attention to devote to Fido, and he needs to become accustomed to this new circumstance before his furless sibling arrives. Otherwise, he may learn to associate a lack of attention with Baby. Another important step in preparing Rufus is exposing him to children now. Take him to parks where he will see and hear children playing. Host friends who have children and ask them to bring their children along. For each positive interaction with a child, be sure to reward your dog with a treat, caress or praise. Even if you are able to expose your dog to many babies and children before bringing home your own, practice tugging gently on your dog’s ears and tail, gently poking and leaning on your dog, and other awkward, unfamiliar things a small child may do. Be sure to reward him each time, so he learns to associate these sensations and behaviors with a positive consequence. In addition to touching your dog in ways with which he is likely unfamiliar, practice crawling around your house. Not only is this good exercise, but it helps your dog grow accustomed to a motion he will soon see your baby perform. Crawl toward your dog with treats in hand, giving him a treat each time you reach him on all fours. Begin engaging in your everyday activities holding a baby doll, as you will likely often be holding your future baby as you perform your day-to-day activities. Pretend to feed and snuggle the baby doll. 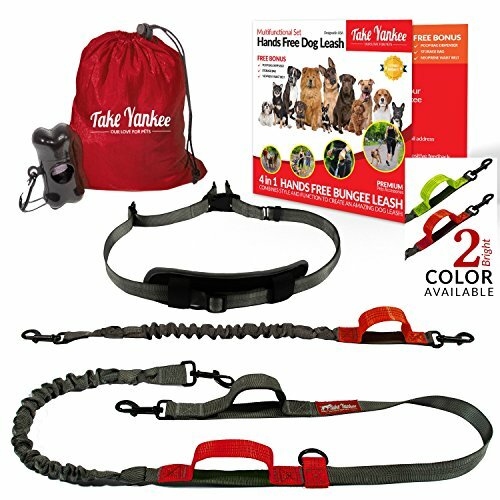 Doing so can help your dog adjust to getting a little less attention, and to having a third party around all of the time. Keep in mind that your baby might seem like toy from your dog’s perspective, so use a baby doll ahead of time to teach your dog not to lick, bite, or chew Baby. If he tries, redirect his attention to a dog toy. 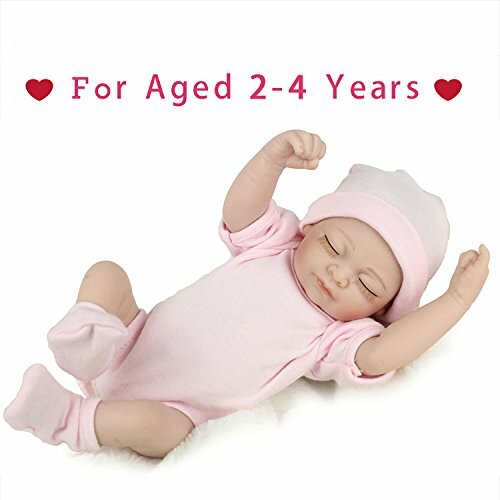 Reborn Newborn Baby Realike Doll Handmade Lifelike Silicone Vinyl Weighted Alive Doll for Toddler Gifts 10"
Because you will likely be walking Fido with a stroller once Baby comes home, start the practice now so he can adjust to the noise and feel, as well as the change in space and pace. 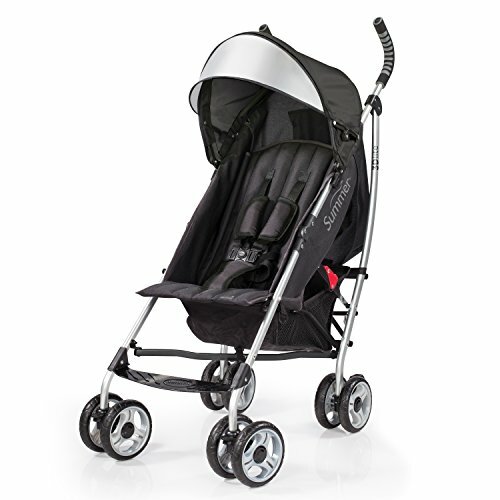 To make the logistics of walking with both a leashed dog and a stroller easier to manage, consider purchasing attachments for hands-free stroller walking, like the ones shown below. If you haven’t already, getting your dog spayed or neutered prior to bringing home a new baby can be very helpful, as a spayed/neutered dog typically exhibits a calmer demeanor. You may also want to take your dog to the veterinarian for a routine health check-up, as well as his vaccinations. Making sure your dog isn’t suffering from any health issues is important because often, behavioral issues arise from health problems. Training can also benefit your dog and your baby. Before Baby comes home, teach your dog the “place” command. If you need your dog to vacate a room, leave your baby alone, etc., you will simply be able to tell him “place” and he will know where to go lie down. Teaching basic manners such as sit, down, stay, leave it, drop it, come/here, and go lie down is also beneficial. Lastly, don’t forget that your baby and your dog can make great playmates for each other. Be sure to teach your dog the age-old game of fetch, as it’s a good one to play with Baby when she is old enough. On Baby’s homecoming day, refrain from bringing your baby in first thing. Instead, go inside on your own and greet your dog, who will no doubt have missed you and be excited to see you again. Then, take your dog for a nice, long walk to help make sure he remains calm during his first meeting with his human sibling. After you return home from your stroll, let your dog calm down and go back inside the house. Don’t introduce him to your baby yet; instead, allow him to smell something that has been in contact with your baby, such as clothing your baby has worn, or a blanket she has used. When it is time for your dog to meet your new baby, be sure to keep your dog on a leash, and allow him to approach Baby at his own pace. Give him lots of treats when he decides to approach your baby, to help him associate your baby with positive experiences. 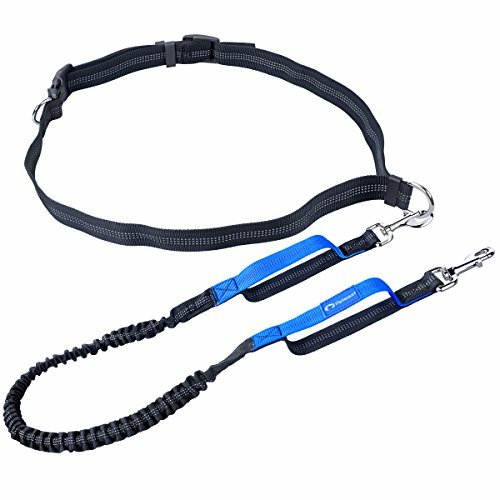 After your dog has had a few days to become accustomed to the sight, sound, and smell of your baby, allow him to get closer to your baby while still on a leash. Remember to allow your dog to decide when, how, and at what pace to approach you and Baby; do not force your dog to approach her, or approach your dog with your baby. Next, a few days later, providing all encounters have gone smoothly, allow your dog to sniff Baby up close, off leash, and with close supervision. Be sure to give your dog attention when your baby is around to avoid the potential that your dog could begin to associate your baby with being ignored. Often, dogs will mistake Baby’s toys for their own toys, and we make the mistake of scolding Fido for the mix-up. Instead, if your dog picks up Baby’s toy, resist the potential urge to discipline him. Simply replace Baby’s toy with one of Fido’s favorite toys. Scolding him when he chews, sniffs, of plays with your baby’s toys only teaches him to associate Baby’s smell with being in trouble. Just as Fido has lots to learn about Baby, Baby has some lessons in store, as well. Be sure to teach your baby not to grab at your dog or pull his tail. Remember, growling or snapping at anyone your dog perceives as a threat or a nuisance is a natural response for a dog. So, if you see your dog exhibiting these warning signs, be sure to teach your baby what they mean. If your dog has had enough, he may want some respite in a place where he knows the baby can’t pester him. For both your dog and your baby’s safety and comfort, create a place for only your dog where Baby is not allowed, such as an isolated dog bed or a crate. Teach your baby that this area is always off-limits. Keep in mind that using gates to separate your baby and your dog if needed is an acceptable practice. 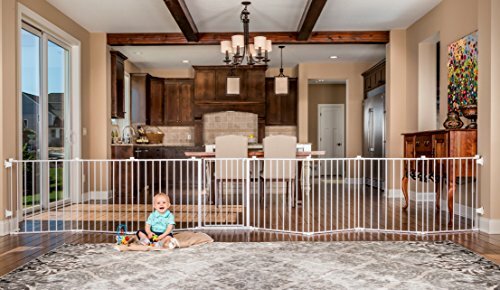 Feeding times, diaper changes, and nap time may mandate the use of gates like the ones shown below. Some dogs may not be especially enthusiastic to meet their new human sibling. Allowing your dog to approach Baby on his own terms is crucial, especially if your dog seems hesitant. If your dog seems hesitant, start small. First, reward him for even an attempted approach and investigation. Once he has managed that, teach him to merely sniff Baby, and reward him for each whiff. Another tactic that can help is allowing your dog to eat any doggy-safe foods that fall from Baby’s high chair. This way, Rover will learn to associate Baby with positive things–like treats. Dogs may exhibit many forms of aggression toward a new baby, such as toy and food guarding, particularly if they were never socialized with children. Guarding and other forms of aggression are often the result of stress, anxiety, and fear. Unpredictability is also a common cause. Your dog may not understand your baby’s movements or noises, and your baby may unintentionally antagonize Fido. If your dog exhibits any signs of aggression toward your baby, immediately separate Fido from Baby. Keep them separate at all times, and seek help from a professional trainer. Remember, your goal is to keep both your babies safe. You want to avoid disciplining your dog for mere warning signs like growling or showing his teeth. These are precursors to biting, and disciplining your dog for displaying them may teach him to bite without warning. A warning can help you foresee and prevent a bite. Instead of scolding Fido for warning you that he is nearing the limits of his tolerance, remove him from the stressful situation, and consult a trainer.